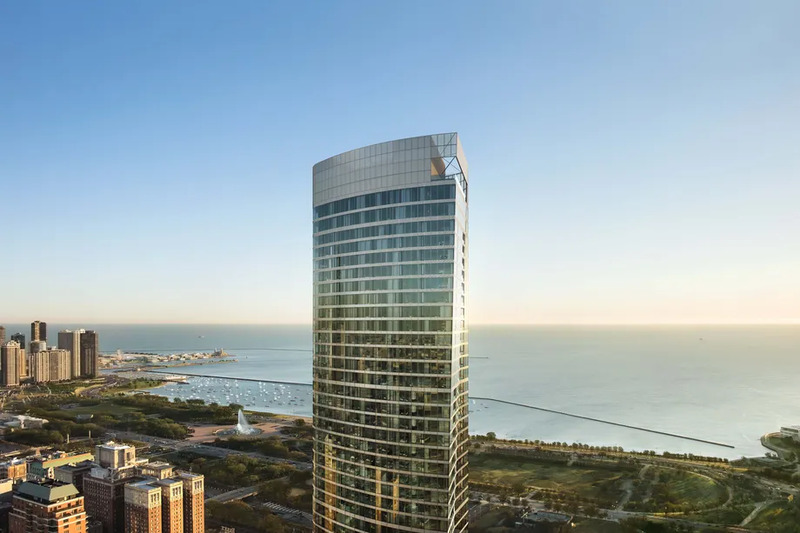 As the yet-to-be-built 74-story South Loop skyscraper known as 1000M prepares to start marketing its 323 luxury condominiums, a pair of newly-provided renderings offer the best look yet at the upcoming Helmut Jahn-designed tower. The 832-foot building will feature greenish blue glass, metal horizontal spandrels between each floor, and a crown screened in metallic mesh. Pretty crazy to imagine a terrace on the 74th floor - might be a little windy up there.